... Get a Price Quote! Elafonisi is a beutifull peninsula at the south west part of Crete, which often breaks in two parts by water giving the impression of being a separate island. Elafonisi is a Natura 2000 protected area and on sand dunes you can see growing plant like sea daffodils and jupiners. Animals like loggerhead sea turtle are offen visting the small island. The turquoise waters, the white sand and the small lagoon make the place unique ! During the summer months, just south of the swimming area is found one of the best windsurfing areas around Crete. The location is exposed to the north-west winds of Ionian sea and is a side-shore spot with steady wind and no gusts or changes in direction. During summer months the thermal winds guarantee planning conditions almost every day (with force 4 to 5 and some days force 6 beauforts). At the south side of the lagoon you will enjoy some of the best freestyle, freeride and slalom conditions, as the flat water and the steady wind guarantee your improvement, if you learn carve gybes or your first freestyle moves. In the lagoon there is waist deep water ideal to enjoy kitesurfing too. 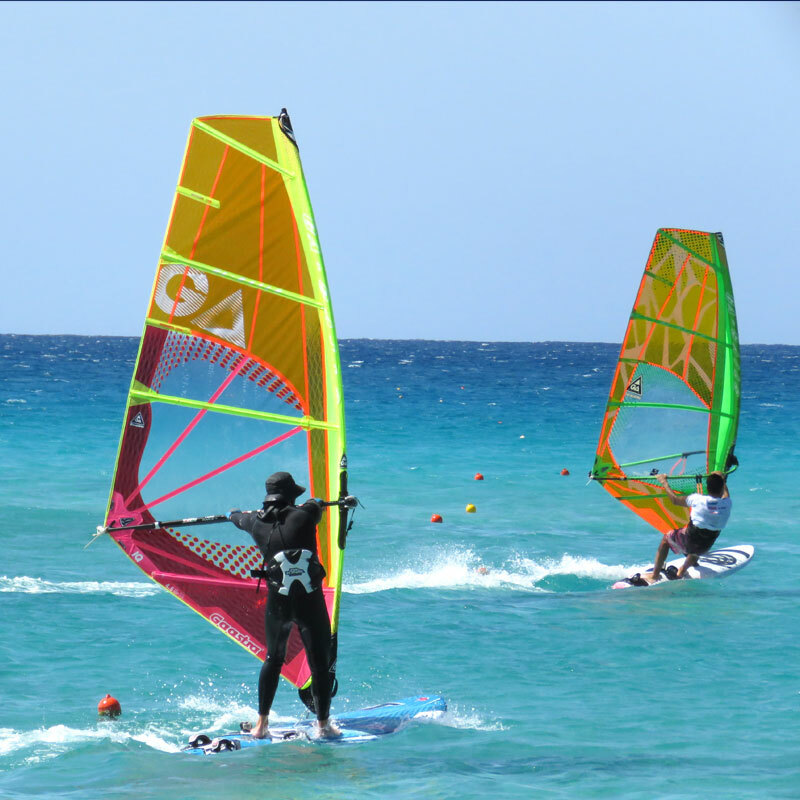 Right on the south side of the beach you can find SURF ISLAND CLUB where you can rent windsurf equipment or if you are a beginner you will learn to sail in the tiny gulf in front of the surf station which is a natural sandy pool with waist deep flat water. An endless coastline, vast mountain ranges stretching from the West to the East, countless gorges and caves, a cosmopolitan North and a pristine South. Crete is one of the few Greek islands considered as a crossroad of civilisations. Read more about Crete's cultural traces here. There are plenty of ways to explore the island of Crete. Read all about what the island has to offer here.